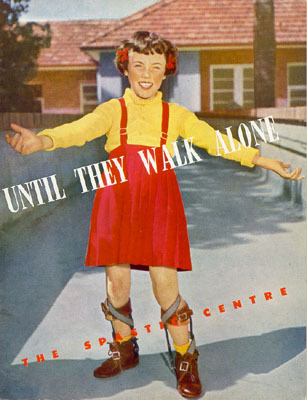 The Spastic Centre was the first organisation of its kind in the world for people with cerebral palsy. The Archives track the development of treatment, education, accommodation and employment services at Mosman and Allambie Heights (Warringah) in Sydney, NSW. No admission fee. Reference/search charges apply: First hour free, Over one hour $35per hour. Photocopying: A4 20c per page, A3 30c per page. Reference staff available for advice and to locate materials. Some materials may be copied with permission. The collection consists of: the key administrative records from one of the Centre's founders, Audrie McLeod; photographs from the 1950s to 1980s, fundraising and awareness campaigns, the development and operation of Centre Industries at Allambie Heights; building work at Mosman and Allambie Heights; research reports from overseas visits; some Miss Australia Quest material; volunteer support over 50 years; and a mdical library with texts covering paediatrics, neurology, orthopaedics, therapy, psychology and special education (1940s to 1970s). 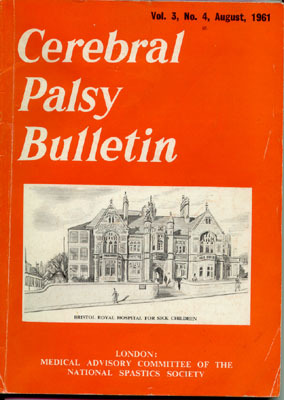 The August 1961 journal 'Cerbral Palsy Bulletin' 18x24cm. This British journal is an example of the material held in the medical collection. The latest research was critical to The Centre's treatment of people with cerebral palsy. A tri-fold A4 sized brochure inviting young women to enter the 1969 Miss Australia Quest. 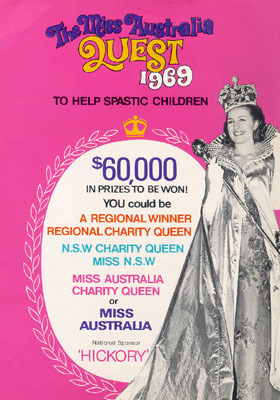 The Miss Australia Quest was a major fundraiser for The Spastic Centres around Australia. It also helped to raise awareness of people with cerebral palsy and the need for services. An 18x24cm colour brochure promoting the work of The Spastic Centre and appealing for funds. Public awareness of The Centre's work has always been a priority. This booklet highlights the therapy and education services The Centre was offering at Mosman in the '50s. Appeals for voluntary assistance and donations are also included in this richly illustrated booklet. 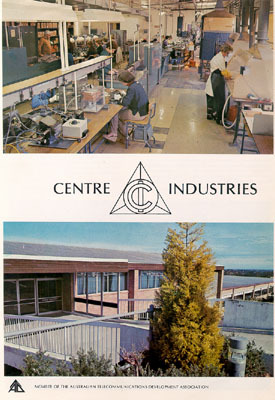 A4+ sized biofold brochure promoting Centre Industries. Centre Industries was an initiative of The Spastic Centre to provide employmnet for adults with cerebral palsy. It was a wholly autonomous and competitive commercial operation where people with cerebral palsy worked alongside whole-bodied people. 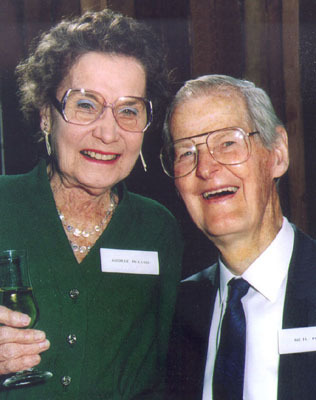 The founders of The Spastic Centre, Neil and Audrie McLeod. 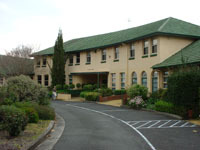 The McLeods founded The Spastic Centre in 1945 with the help of a small group of concerned parents. Under their leadership the Centre pioneered the treatment, education, employment and accommodation of people with cerebral palsy.